The 2018 edition of the Hyderabad Literary Festival (HLF) will see sessions by various authors from Spain – the country in focus this year, some of whom will also be delivering talks in New Delhi. The eighth edition of Hyderabad Literary Festival (HLF), which is scheduled to be held from January 26-28, will witness an outpour of authors, poets, academics, literary enthusiasts, performing artists, national and international editors, and others from the field of storytelling. HLF 2018 is a multi-disciplinary, multi-lingual event that draws over a hundred writers, artists, academics, scholars, and publishers from India and abroad every year. 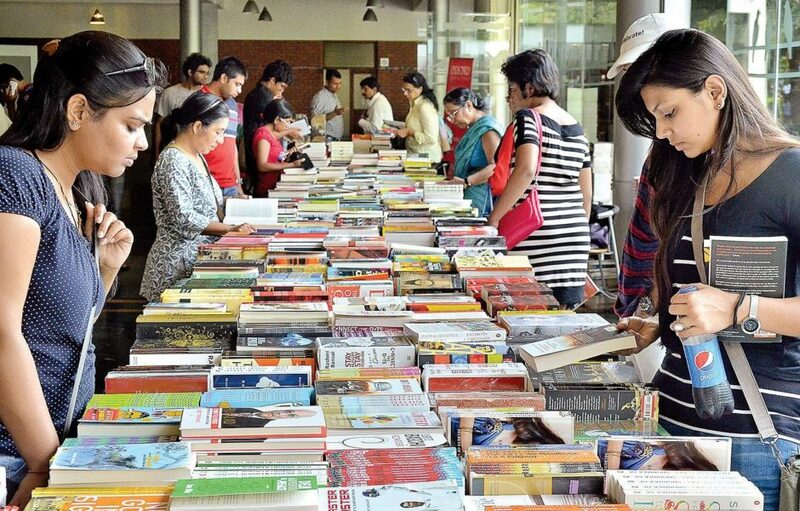 It is organised by the Hyderabad Literary Trust together with the Government of Telangana, with the support of several academic, literary, cultural organisations and publishing houses. Every year the festival invites a foreign country to showcase its literature, art and culture. The country in focus this year is Spain, while the Indian language in focus is Kannada. Spanish authors including Mercedes Cebrián, Marcos Guardiola (Maguma), Ana Cristina Herreros, Inma López Silva, Alejandro Palomas, Cristina Sánchez-Andrade, and Harkaitz Cano are expected at the event with their participation anticipated in round tables, conferences, and workshops highlighting the Spanish linguistic diversity. The festival is expected to see panel discussion on ‘supernatural earthlings, next-door despots and unsuspecting objects’, a workshop on ‘creating visual fames to tell stories’, and multilingual reading sessions, among other activities. Extending their participation, author Harkaitz Cano will deliver a lecture at the Aligarh Muslim University, while illustrator Marcos Guardiola (Maguma), after his visit to Hyderabad, will stay in Tara Books (Chennai) as part of an artistic residence. Meanwhile, the Indian capital will experience a series of talks by prominent Spanish authors before they embark to the literature festival. Colleges and institutions that take part in the Spanish Ministry of Foreign Affairs’ Spanish Visiting Teachers Program, will be the venue. The Jawaharlal Nehru University (JNU), Delhi University will be seeing sessions on January 31st. It has also been reported that the festival will have movie screenings, three of them directed by Girish Kasaravalli, an acclaimed Kannada film-maker. The lit fest will also pay tribute to late actor Tom Alter, and remember late Shashi Kapoor in a plenary session named ‘Junoon of the Kendals and the Kapoors’. Besides art displays and a session on food culture, the festival will also host folk art presentations from the state of Telangana.